The Academy of Business Administration (ABA), Balasore, was established in the year 1993; has been recognized as a premier professional institution in Southern part of Eastern India .This institute is registered under the Societies Act (XXI) of 1860 in the year 1993.The institute is approved by the All India Council for Technical Education (AICTE), New Delhi, Ministry of HRD,New Delhi and recognized by Govt. of Odisha and affiliated to the Biju Pattnaik University of Technology, Odisha (BPUT, Odisha) and Fakir Mohan University, Balasore (FMU. Odisha). 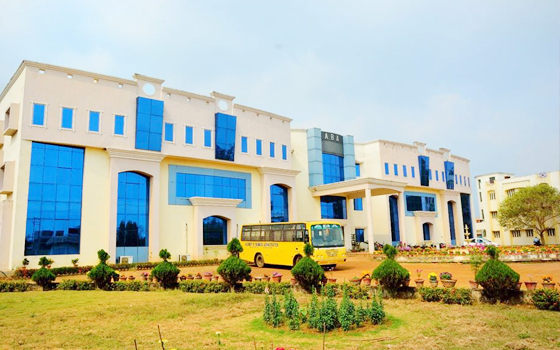 The campus is located at Kuruda; Balasore with landscaped garden which provides an idyllic environment to engage the students of management and computer applications studies. The corporate office is located at ABA House, S1/25, ITI Square, Balasore. ABA is an innovative institute committed for developing programs designed to equip you with the knowledge and skills needed to succeed in the national and global workplace. The form and information bulletin can be downloaded from the website (download online application form) or obtained on the payment of Rs.500/- in cash counter or by the post by sending demand draft of Rs.550/- in favour of ‘Academy of Business Administration’ payable at ‘Balasore’ and addressed to Harida, Kuruda, Balasore – 756056, Odisha, India. Admission for different courses like MBA, MCA and MCA (LE) of Biju Patnaik University of Technology (BPUT, Odisha) shall be based on the eligibility criteria decided by the Academic Council of the University (BPUT, Odisha). Bachelor’s Degree examination in any discipline (Pass/ appeared) from any University of Odisha or from a recognized University as defined by UGC, must have qualified in CAT/MAT/XAT/C-MAT/ATMA/ODISHA-JEE (Concerned Year). The candidate should have obtained at least 50% marks (45% in case of candidate belonging to SC/ST category) at the qualifying examination. There is no age limit for admission to MBA course. Bachelor’s Degree examination in any discipline (Pass/ appeared) from any University of Odisha or from a recognized University as defined by UGC, Mathematics as a subject in 10 +2 or Graduation level and must have qualified in ODISHA-JEE/NIMCET (concerned Year). The candidate should have obtained at least 50% (45% in case of candidate belonging to SC/ST category) at the qualifying Examination. There is no age limit for admission to MCA course. Bachelor’s Degree examination in BCA, B. Sc. (IT/ Computer Science/IST/ITM) from any University of Odisha or from a recognized University as defined by UGC and must have passed in Mathematics as a course at 10+2 level or at Graduate Level. The candidate should have obtained at least 50% (45% in case of candidate belonging to SC/ST category) at the qualifying Examination. There is no age limit for admission to 2nd year MCA under Lateral Entry course. Selection procedure is as per the Current Govt, rules. Admission for different courses like BBA and BCA of the Fakir Mohan University (FMU, Odisha) shall be based on eligibility criteria decided by the Academic Council of the University (FMU, Odisha). BBA : 10 +2 in any discipline (Pass/ appeared) from recognized Board/University. BCA : 10 +2 in any discipline (Pass/ appeared) from recognized Board/University with Mathematics (Mathematics/Statistics/ Business Mathematics) as one of the subject in 10 +2 level. Kindly get in touch with our Admission Cell if you have any further queries.